Seth Rogen began his career as a standup comedian during his teens, coming in second place in the Vancouver Amateur Comedy Contest when he was sixteen. 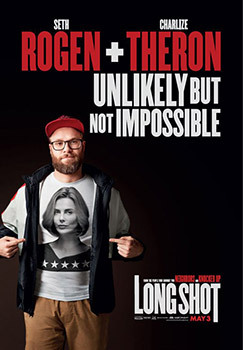 After moving to Los Angeles, Rogen landed supporting roles in Judd Apatow`s two critically acclaimed network television comedies, Freaks and Geeks and Undeclared. Apatow cast Rogen in his films, The 40 Year old Virgin and Knocked Up. In addition to lending his voice to Kung Fu Panda, the classic Dr. Seuss story Horton Hears a Who, and The Spiderwick Chronicles, Rogen was one of a long list of voices in the 2009 animated feature Monsters vs. Aliens. Rogen co-starred with Michelle Williams in Sarah Polley`s Take This Waltz. Rogen co-wrote and co-directed the 2013 comedy This Is The End, which co-starred fellow Canadians Jay Baruchel and Michael Cera. His 2014 film, The Interview, was the centre of considerable controversy thanks to a plot line that included an attempt to assassinate the leader of North Korea.